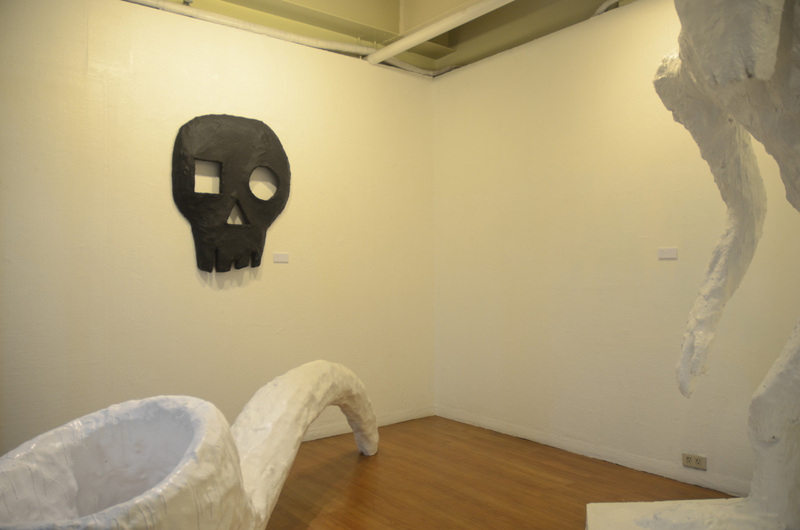 Jason Tecson’s work mischievously undermines the tenets of sculpture. 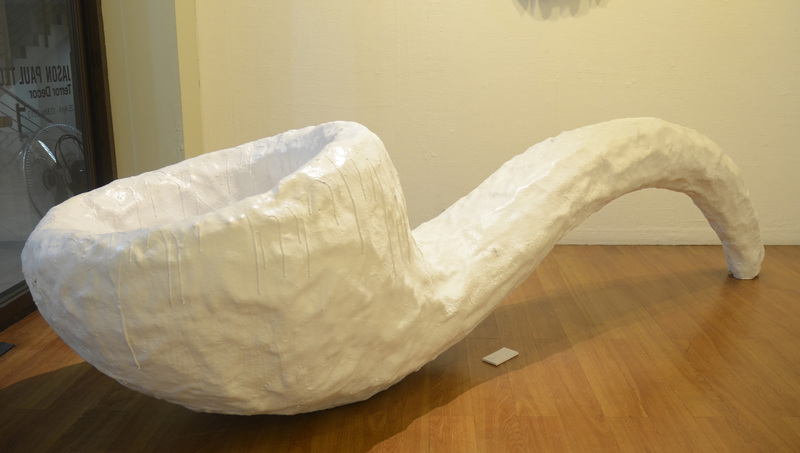 Drawing reference to a host of styles such as Classicism, Cubism, and Futurism, Tecson’s intentionally gawky forms trade the haughty and enduring qualities of traditional bronze or marble for the humble aesthetic of fiberglass. Lacking the weighty physical stature associated with three-dimensional media, Tecson’s ‘monumental’ structures appear almost absurdly feeble, reducing the grandiose weight of art history into sympathetic effigies. His subjects lean to the figurative and mythological; bordering on abstraction, their rough make and haphazard forms both disclose their process of making and a sense of relational modesty. 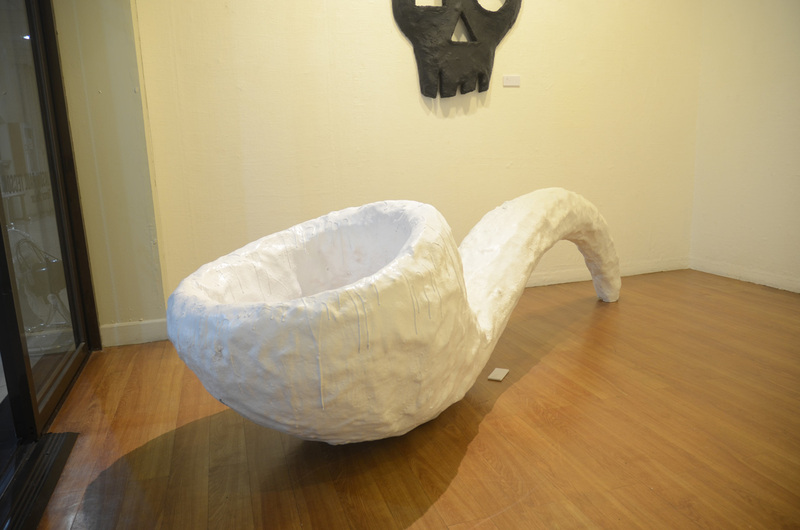 Apex, a clunky semblance of a figure made from Resin-soaked styrofoam wrapped over a skeletal support stands as an abject tribute to Jean Dubuffet; while Pipe, literally a blown-up pipe, almost mockingly harks back to Rene Magritte. The beast and the object’s utterly solid body are overstated as both object and surface, a frail vessel for unworldly manifestation. 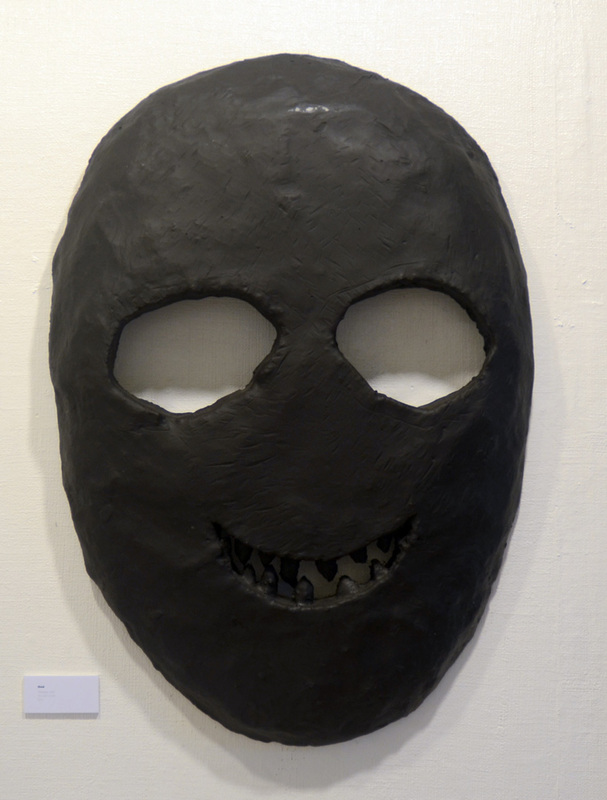 Similarly, his masks plays upon the devices of representation: they are not wearable, unless by one of Tecson’s elaborate monster that serves to give a face to a hollow shell of a figure posed in an act of ruin. 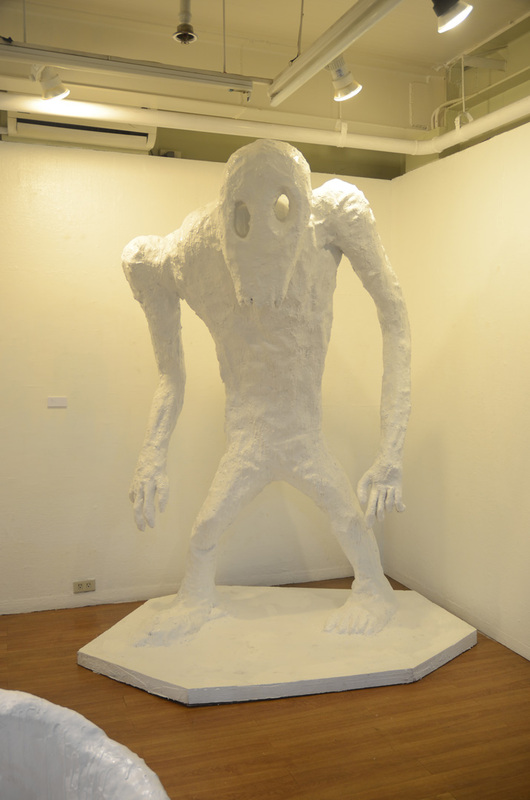 Throughout Jason Tecson’s work is ingrained a reinvention of hierarchical considerations of visual form and their implications, challenging these preconceptions through making and content, Tecson creates his own alternative ‘characters’, reflective of a more intimate and empathetic narrative. His sculptures appear physically imposing and powerful in their size and positioning yet fragmented and vulnerable in their construction. 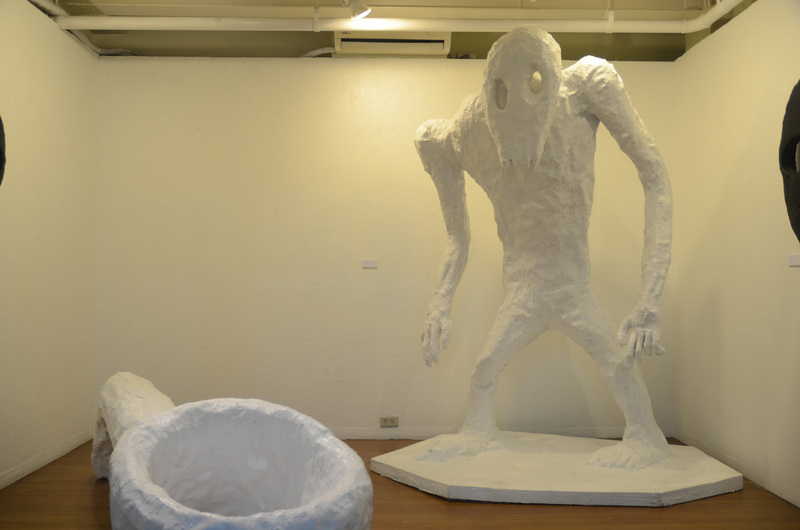 To build these works, Tecson begins with a structure of clay and then replicates this in styrofoam and then adds layers of fiberglass and automotive paint. 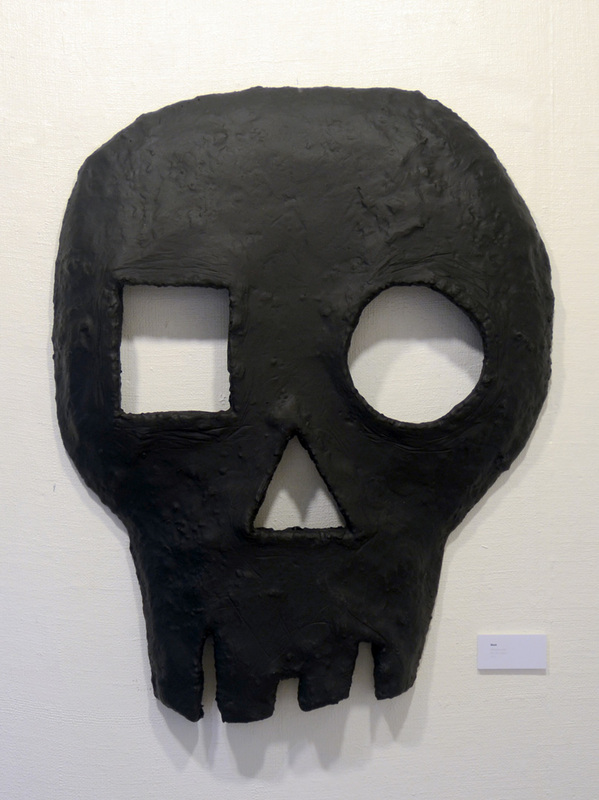 Some of his works incorporate the burns created by the resin solution on the styrofoam. Monstrous yet unthreatening, this work— a part-human, part-animal being—is in a transitional pose between walking and crumbling, weighted on the flat expanses of its hands and feet. 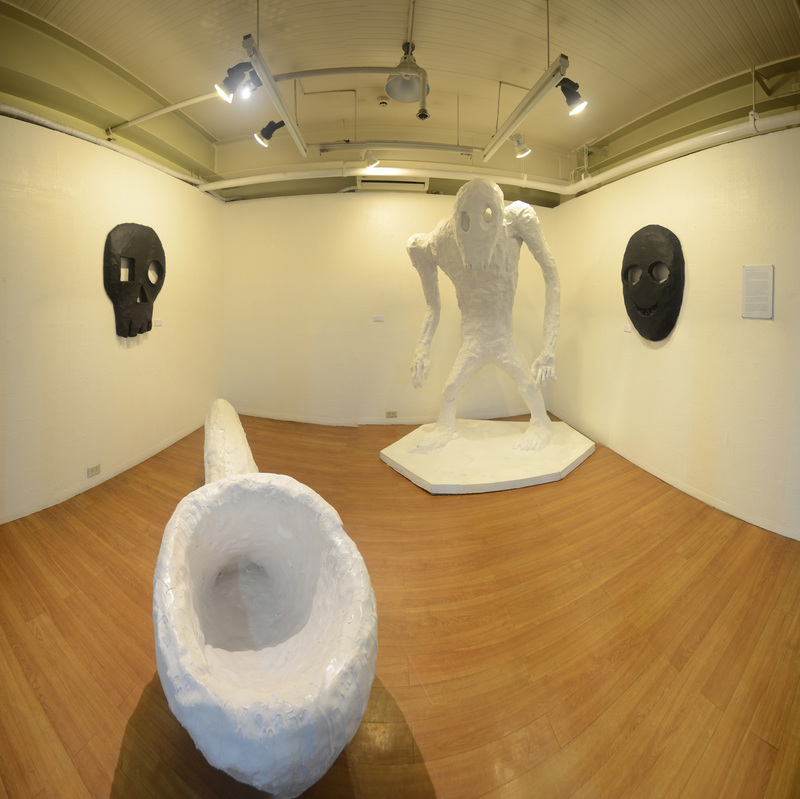 Tecson’s sculpting challenges conventional aesthetic boundaries in three-dimensionality, monumentality and spontaneity. 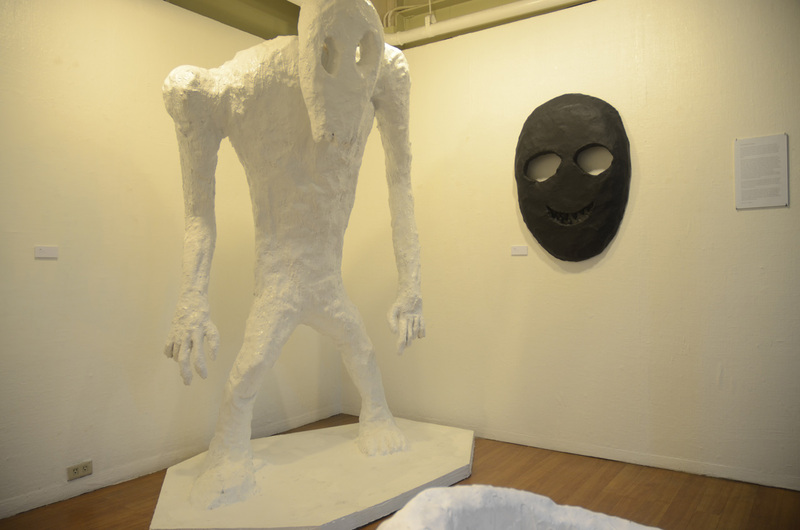 Apex, represents a hopeful addition in the sculptor’s promising production, one that nods affectionately to the contemporary riddles and enduring archetypes chosen from the margins of seemingly familiar monsters and their myths.